As we know, Paul went to the congregations around so much of the world, and preached about the 'Gospel' and Yashua and many were 'saved'. We also know that at that time there was NO new testament (other than word of mouth, the life of Yashua Jesus, but no written, accepted scripture). We also know that Deuteronomy 4:2 and 12:32 says "Whatever I command you, be careful to observe it; you shall not add to it nor take away from it." We also know that they are told to KILL anyone who speaks against the laws given them THROUGH (not by) Moses. We also know that Jesus, Steven, and Paul were FALSELY accused of speaking against the Law of Moses, by 'false witnesses', and the people did try to kill them for it. These were FALSE witnesses, speaking LIES. What did Paul preach, from the scriptures (at that time ONLY the old testament) to prove Yahshua Jesus and the "Gospel"? Where is ANY OTHER WORD in scripture that says the law will be changed or removed? I believe Paul's words are misunderstood, as warned about by Peter. So prove it by ANY OTHER WORD in scripture. We know that Paul did indeed say, that the law was Good, Pure, Righteous, and that by following the Yahshua Jesus, we ESTABLISH the law. 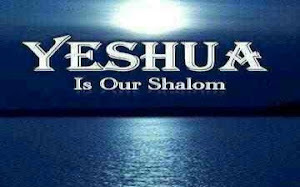 We also know that Yahshua Jesus said, "I did not come to abolish the law, but to 'fulfill' it." If 'Fulfill" means to do away with, Is he saying, "I did not come to abolish, do away with, destroy, end the law, but to abolish, do away with, destroy, end it."??? Didn't he also say, "Depart from me workers of lawlessness." and "The scribes and pharisees sit on the seat of Mosheh, therefore, whatever he says to you to guard, guard and do." (ie, WHEN they read the actual books of Mosheh, DO IT), and "Go and SIN NO MORE."? Doesn't scripture also say, "Sin is lawlessness. ", and "And by this we know that we know Him, if we guard His commands." and "Here is the endurance of the saints (set apart ones), here are those guarding the Commands of YHWH and the belief of Yahshua Jesus." and "Blessed are those doing His Commands, so that the authority shall be theirs unto the tree of life and to enter through the gates into the city." My Lord and My God! - What does it mean?